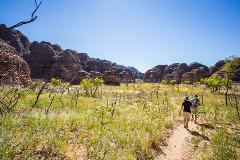 FOR ADDITIONAL AVAILABILITY CONTACT OFFICE A relaxed journey into the gorge and river country of the rugged western Kimberley. 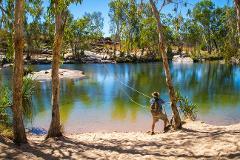 Enjoy a cruise through the spectacular Geikie Gorge, and a guided exploration of Tunnel Creek & Windjana Gorge. 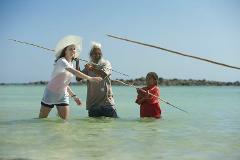 FOR ADDITIONAL AVAILABILITY CONTACT OFFICE Perfect for travellers with a bit of extra time to explore the Dampier Peninsular, visit Aboriginal communities and enjoy the beautiful environment. With a choice of comfortable eco accommodation. FOR ADDITIONAL AVAILABILITY CONTACT OFFICE We explore the Western Kimberley gorges, meet outback characters and learn of the history and culture on a relaxed four day journey through this remote and stunning region. 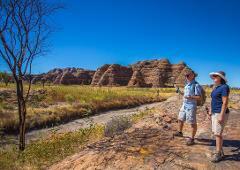 FOR ADDITIONAL AVAILABILITY CONTACT OFFICE A short adventure visiting Kimberley’s iconic towns and exploring the World Heritage listed Bungle Bungles we offer the option of continuing your trip through to Kununurra or returning to Broome.